Where is the CAD industry going in 2019? 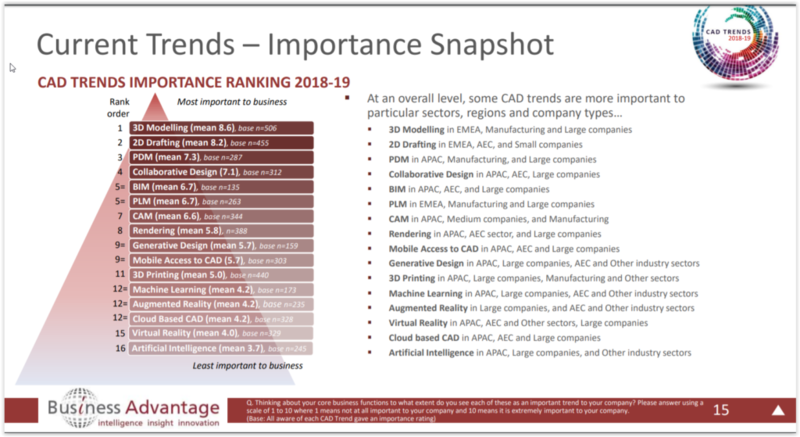 Business Advantage has released the results of a comprehensive survey of 626 CAD users globally in their CAD Trends 2018-2019 report. Interesting information and worth the free download. 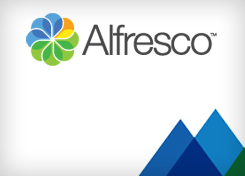 The survey ranks the importance of current trends. The top two trends ranked by those in the survey were 3D Modelling and 2D Drafting. 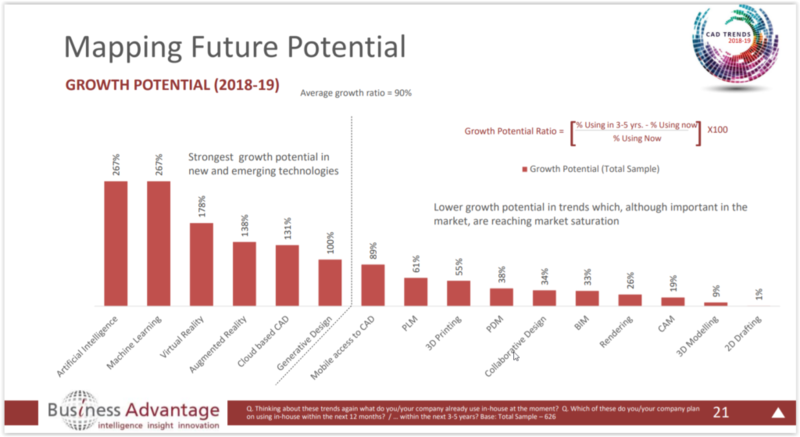 Interestingly, while Artificial Intelligence and machine Learning ranked low in this survey, they ranked as the areas that can expect the highest amount of growth in the future. Further, the top two, 3D Modelling and 2D Drafting, rank last.